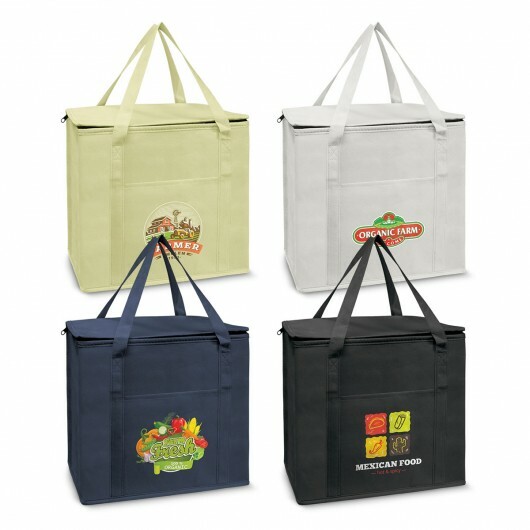 The classic cooler shopping bag that features a large print of your logo. 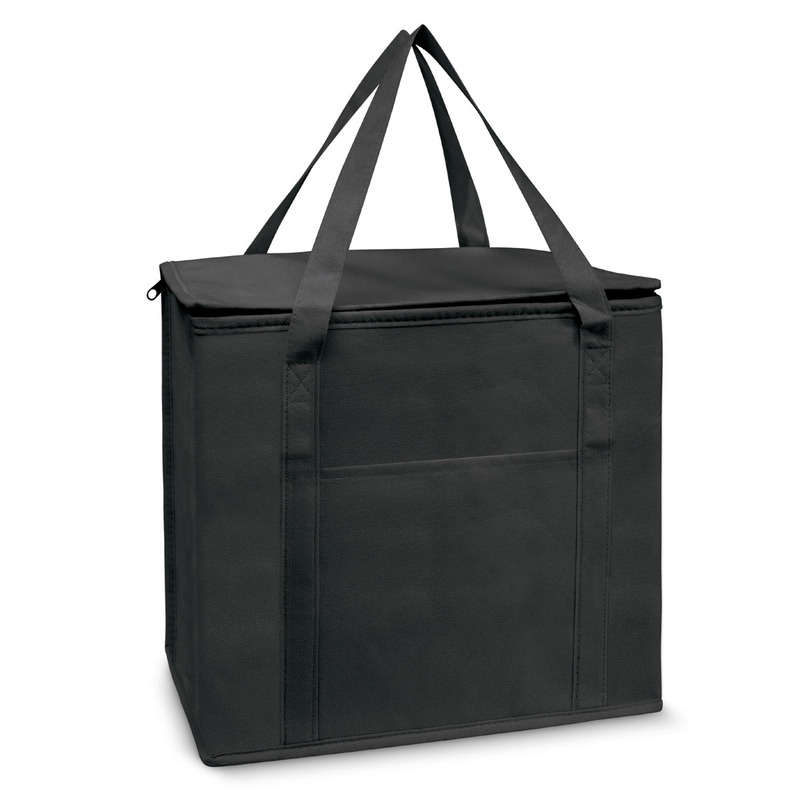 These classic supermarket style cooler bags are a must have for your weekly shop. They feature a large decoration of your logo or branding message and are available in 4 attractive colours. They're made from 80gsm non-woven material with an aluminium foil laminated PE foam insulation and a 19 litre capacity. 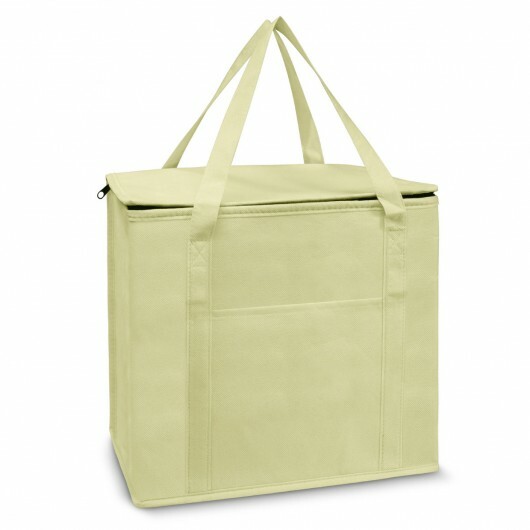 The bags open via a top zip closure and they also have reinforced handles and a large front slip pocket. Dimensions H 310mm x W 320mm x Gusset 200mm (excludes handles) Handle Length: 530mm.